*Please note there has been an alteration to the time of this event and the location has now been confirmed. This Wednesday, 18th July, we are holding an event as part of AIDS Festival 2018. The event is an opportunity for civil society, HIV campaigners, and other supporters to come together in advance of the International AIDS Conference 2018 to discuss priorities and build momentum for the week ahead. The first half of the meeting will cover framing presentations and discussions on where we are at with regards to the HIV response, global health funding and how these issues fit within the broader international Development Paradigm. Following on from these broad framing discussions, the second half of the meeting will be focused on the International AIDS Conference and UK government and priorities for the conference. 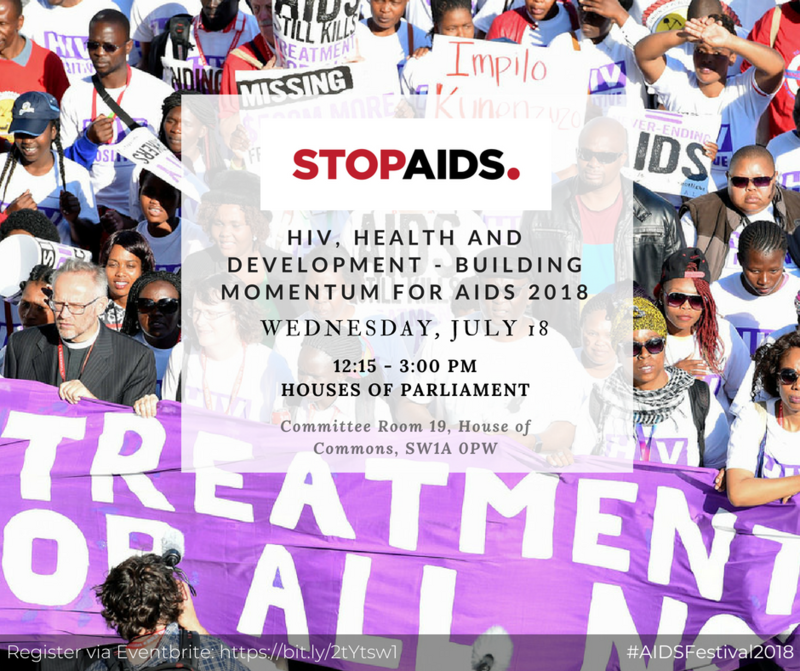 We have invited Alistair Burt MP to attend and speak at the meeting and he will speak to his priorities for the International AIDS Conference, and DFID’s wider approach to the global HIV response during this section. The meeting is an official event of the AIDS Histories and Cultures Festival 2018. The cultures festival aims to explore how HIV/AIDS has been experienced, represented, and remembered. It is convened by the Raphael Samuel History Centre, with *Bridges events curated by Ash Kotak at Aesthesia.